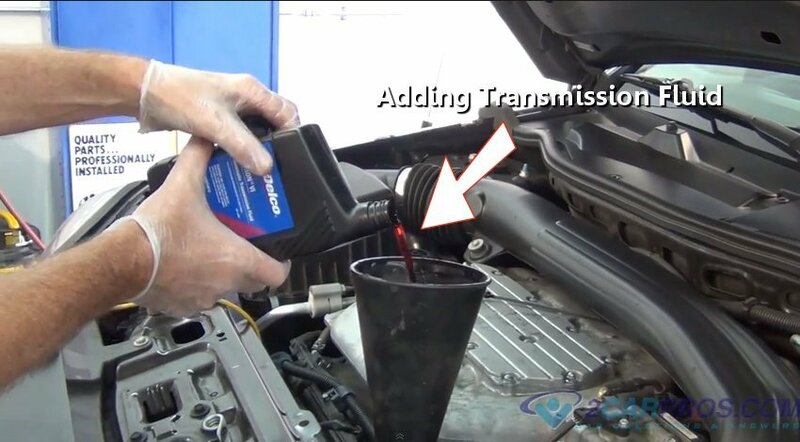 Step by step repair guide on how to troubleshoot and repair automatic transmission problems. This repair guide pertains to most vehicles. Step 3 - Drive the vehicle while trying to maintain a constant throttle position as it accelerates up through all four gears. If the transmission is shifting properly, it should be in 4th gear by the time you reach 45 to 50 mph on level ground. Repeat this procedure from a standing start 3 to 5 times. Rescan the PCM for trouble codes, if none appear the problem could have been a onetime occurrence. If a trouble code has returned repair as needed and recheck system. Brake lock solenoid or brake light switch has failed not allowing the gear selector to move out of "Park." Flex plate (flywheel) is broken completely not transferring engine power to the transmission. Transmission clutch discs or bands are worn out or burned. 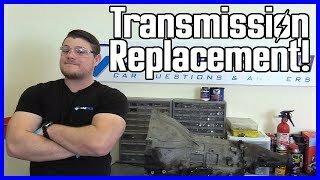 Transmission is shifting too late or not at all. On most cars the transmission is controlled by the PCM (powertrain control module) if the vehicle speed sensor fails the PCM has no input so the computer will not shift the transmission properly. The best way to check this sensor is to make sure the speedometer is operating correctly, if not replace the VSS and recheck. The transmission skips second gear, shifts from first gear to third gear and the "service engine soon" or "service engine soon" MIL is illuminated. Scan the computer to help locate the transmission control solenoid that is malfunctioning. 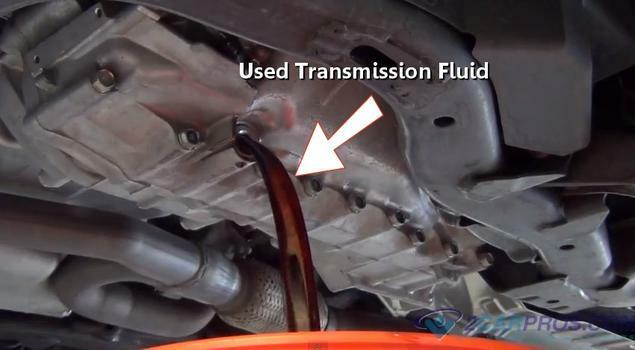 A common complaint with automatic transmissions is them leaking fluid. Leaks can occur from the output shaft seal, input shaft seal, pan gasket, fluid cooler or lines. When adding transmission fluid, do not overfill, doing so could cause the fluid to become aerated which will affect transmission operation. If the fluid level is low with no visible leaks, check the radiator for fluid in the coolant. The cooler inside the radiator may be leaking and cross-contaminating the radiator coolant (the coolant will be milky pink.) Also check the condition of the fluid, some discoloration and darkening is normal as the fluid ages, but if the fluid is brown or has a burnt smell its badly overused and a transmission service is needed. Most transmission problems can be prevented by changing the fluid and filter (if applicable) according to manufacturer specifications. In extreme conditions installing an aftermarket auxiliary cooler parallel can be installed furthering the cooling effect. This prevents fluid overheating on vehicles used for towing or performance applications. Automatic transmissions make specific noises when a malfunction occurs. An automatic transmission is a hydraulic pressure driven system that can make different noises than manual transmission problems. If the transmission filter becomes plugged due to debris, it can make a whirring noise. If the fluid level is low, you might hear a bubbling sound which is caused by the pump scavenging fluid inside the transmission pan. Most internal failures are due to bearing, clutch or hard part failure. When such a failure occurs the transmission can make a grinding, whirring sound or no noise at all. When a transmission has a major failure you might hear a loud pop which could mean a drive component inside the transmission has failed. Never allow little noises go unattended, a small noise can cause a transmission failure. Avoid overloading a vehicle or towing beyond capacity as this can cause premature failure. To prevent damage come to a complete stop before engaging park mode. Fault codes will be set when the transmission controller or PCM detects a malfunction. Codes are set by the computer when detecting malfunctions, such as a 2-3 shift solenoid that is not responding.